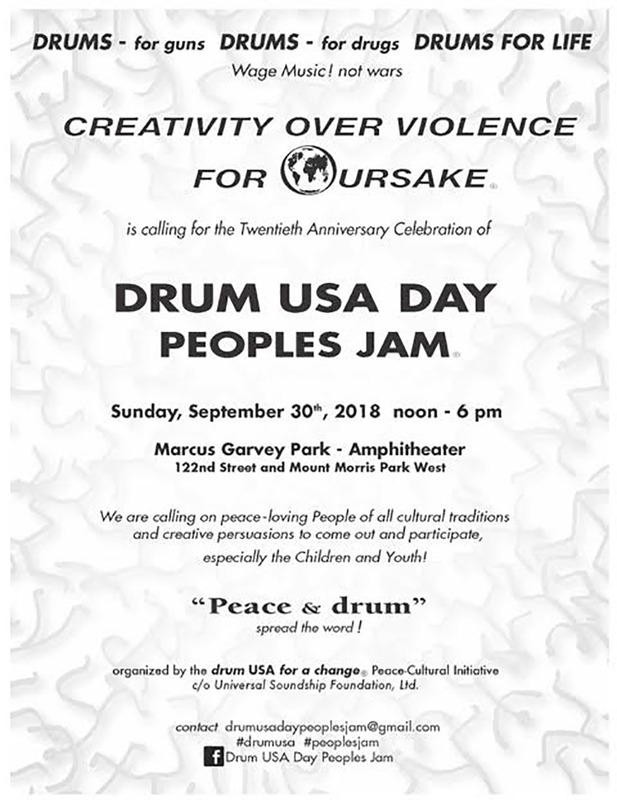 The annual Event, DRUM USA Day: People’s JAM, will take place on Sunday, September 30th from Noon to 6:00pm at the Marcus Garvey Park Amphitheater. With a focus on “Creativity Over Violence” this is the twentieth anniversary celebration for DRUM USA. Free and open to the public, enter the park at 122nd Street and Mount Morris Park West.